Since the great food truck explosion at the turn of the century, the Pizza Snob has had only a few four-wheeled pizza experiences. A few years ago, I tried a truck at the Germantown Festival that I never saw again. 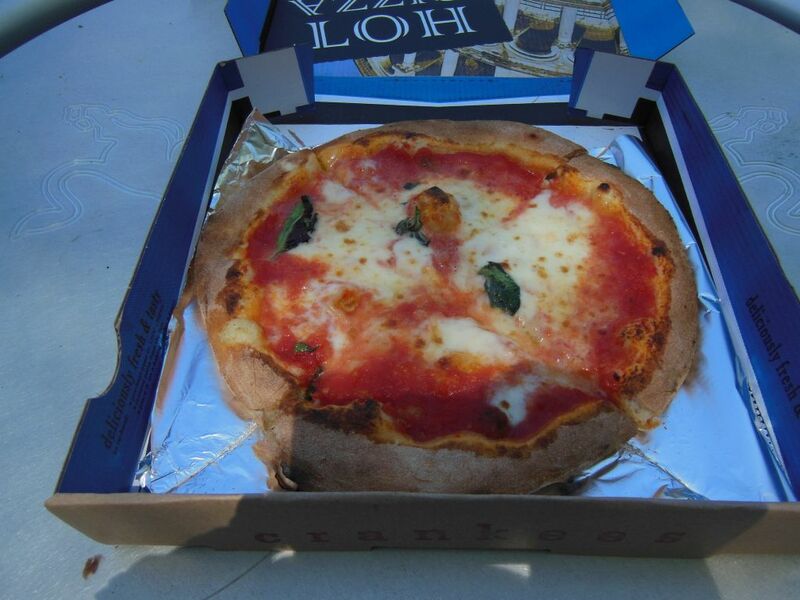 Before I took to blogging about pizza, I had a few slices at the great PizzaBuds Truck that has since vanished. 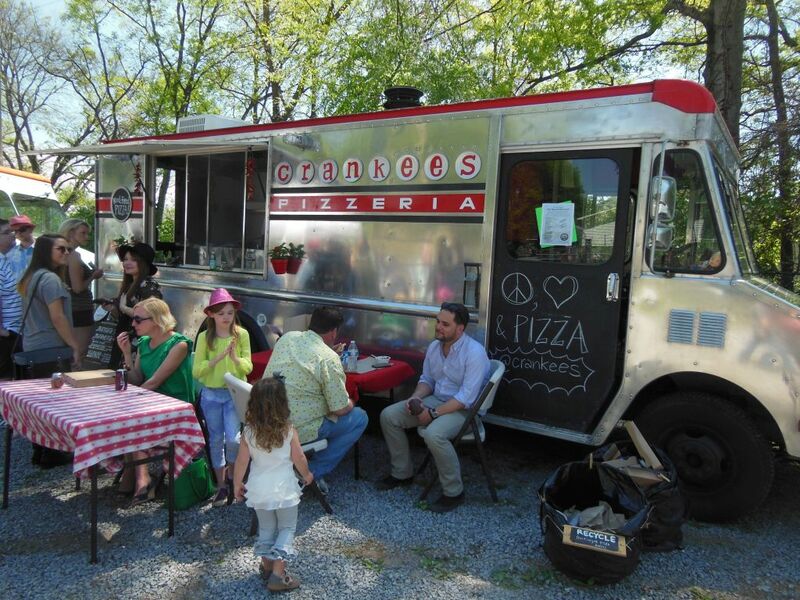 Now, there is a new pizza truck in Nashville called Crankees Pizzeria. 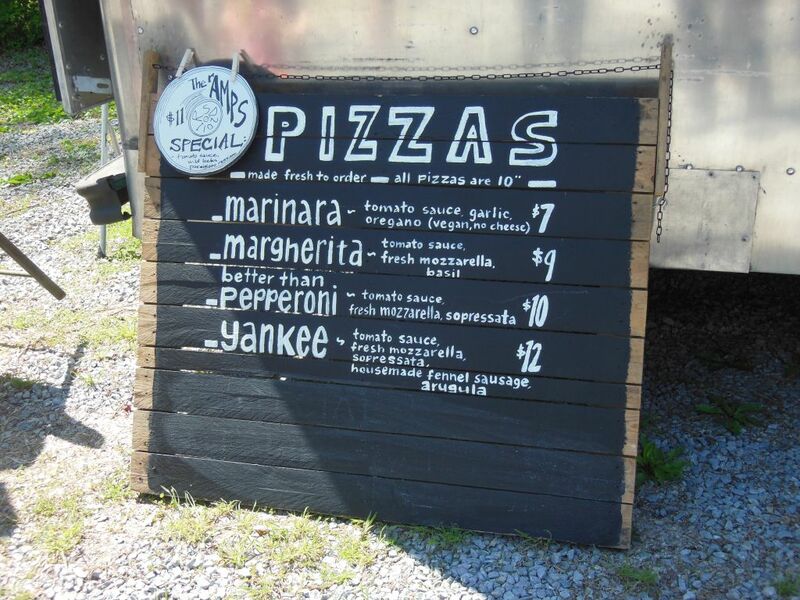 Unlike the other two that served New York-style slices, Crankees brings Neapolitan style to the mobile pizza scene. This year’s Record Store Day extravaganza at Grimeys New and Preloved Music was made even better by adding a parking lot full of local food trucks. Despite my general disfavor for Neapolitan pie, my taste buds yearned for some cheese and sauce, and I couldn’t resist the urge. So, in between loading up on special record releases and the afternoon of free music in Grimey’s parking lot, I had my first crack at Crankees. 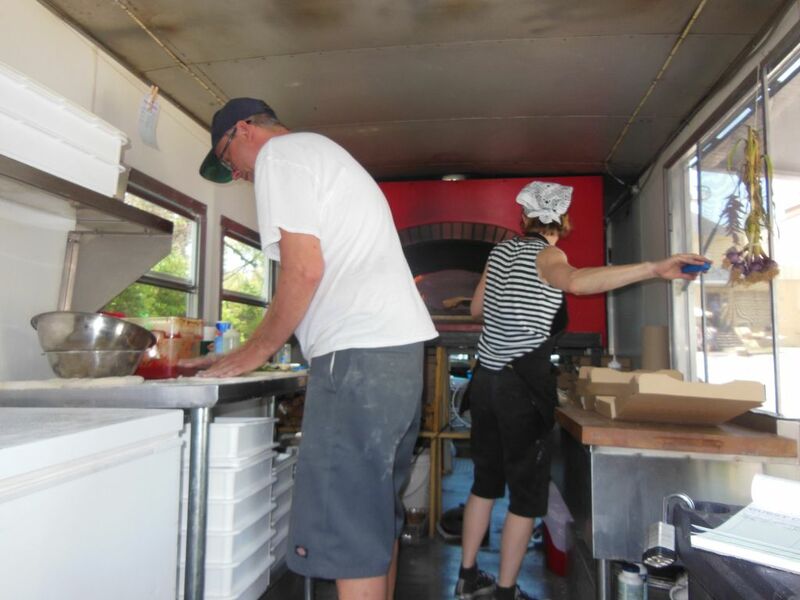 It is quite a sight to see a full-blown wood-fire pizza oven in the back of a converted truck—especially one that fires up to 905 degrees! Crankees serves up 10-inch pies in four different varieties. I stayed simple with the $9 Margherita. Made fresh-to-order, it didn’t take long as their hot oven lived up to its claim to cook a pie in just 90 seconds. Mine came out looking great—especially how the end crust looked charred, crisp and enticingly crunchy. Of concern was the center which looked a little runny with a collection of tomato sauce and olive oil. Overall the pie was hot, fresh and tasty. In true Neapolitan style, it was generally thicker in crust and cheese than I prefer. But taste wise it was quite satisfying—much more so than my recent experience at the much-heralded DeSano. In fact I’d say that this is as good as this kind of pizza gets for me. The tomato sauce was downright delicious with flavorful overtones of fresh basil and olive oil. But what really gave this Neapolitan an upgrade in my book was its chewy and slightly crunchy bottom crust—the place where these pies generally disappoint me most. It seems that there are not too many pizza trucks around since schlepping a pizza oven around is no easy doing. Crankees manage it well, and you can follow the whereabouts of their truck through the schedule on their website. You will be glad that you did.